THREE Sixty Revolving Restaurant and Rooftop Bar’s The Best of Penang Special Buffet pairs delicious delicacies with splendid views of George Town. Available daily from 7pm to 10.30pm, the eclectic spread highlights the island’s famed Nyonya cuisine and local fare, with some Western items thrown in for variety. As the establishment atop Bayview Hotel Georgetown also revolves, diners can feast their eyes on ever changing, 360-degree vistas as they tuck in. 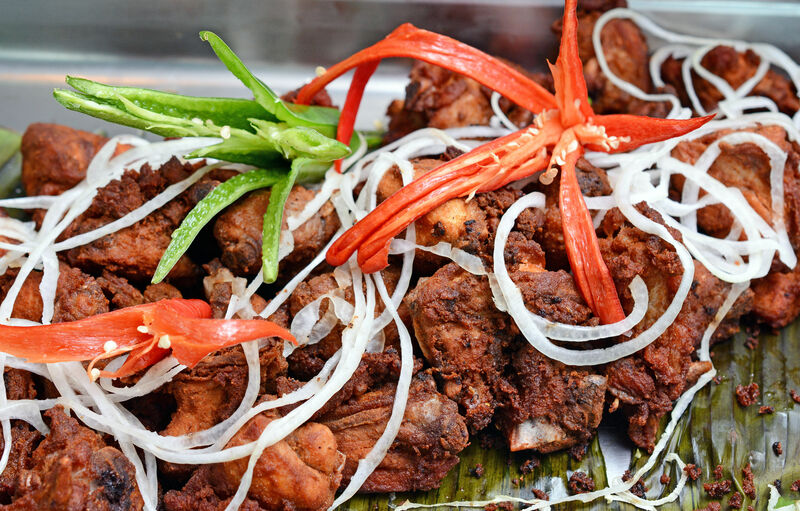 The appetiser section features popular bites such as Chicken Lor Bak, Crispy Chicken Wantan, Kerabu Chicken with Black Fungus and rojak. There are also Nyonya Pie Tee, Acar, Mesclun Leaves and pickled fruits to get the appetite going just as the sun makes its journey down beyond the horizon. 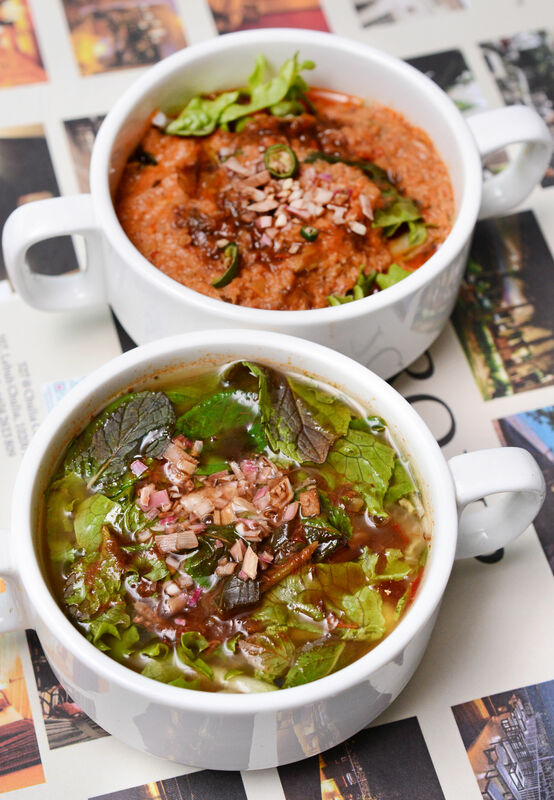 Then, help yourselves to as many bowls of Penang’s quintessential hawker delights,Laksa Lemak and Assam Laksa (top pic – Assam Laksa (bottom) and Laksa Lemak (top)), as you fancy. The main dish section features over a dozen items, with the Six Spice Marinated Barbecue Chicken, an aromatic and succulent offering, coming highly recommended. Equally tasty and popular are the Chicken and Mushroom Pie, Inchee Kabin, Otak-Otak, Ikan Masak Lemak and Mee Goreng Mamak. 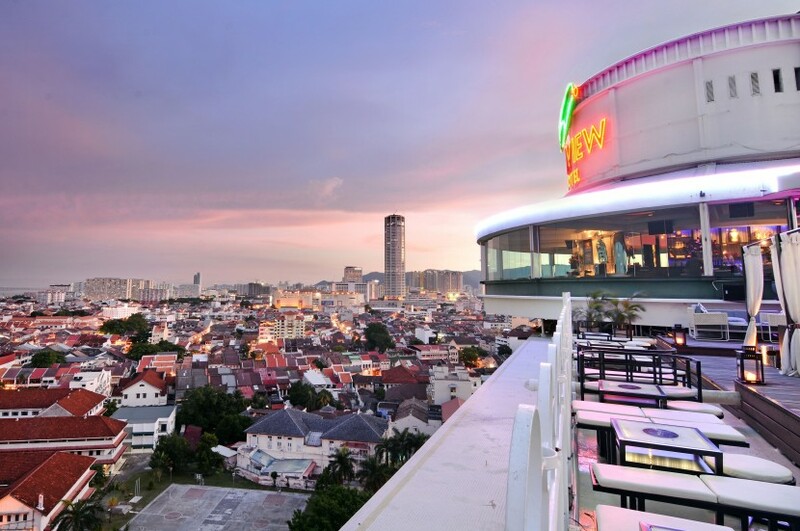 Awesome: Enjoy breathtaking views of George Town from the Three Sixty Revolving Restaurant and Rooftop Bar atop Bayview Hotel Georgetown. Otherwise, pair the tomato rice or Roti Jala with mouth-watering Lamb Kurma, Beef Rendang, or Nyonya Chicken Curry with Potatoes. Desserts offer the best of both worlds. 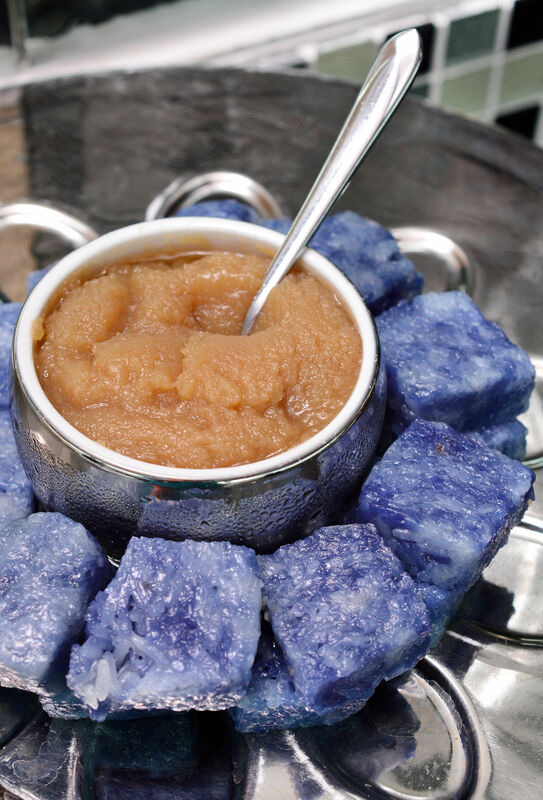 There are selections of Nyonya Kuih like Pulut Tai Tai, alongside other local sweets like Sago Gula Melaka and Ais Kacang. These go nicely with Western counterparts such as Sticky Toffee Pudding, Creme Caramel, Tiramisu, Bread and Butter Pudding, Strawberry Trifle, and several flavours of ice cream. The pork-free buffet is priced at RM83 plus GST per pax, with a 20% discount for senior citizens above 60. Children aged four to 10 enjoy half price. With comfortable and cosy surroundings to indulge, the buffet represents a great option for a night out with friends, family or loved ones. Tasty Nyonya Kuih like the Pulut Tai Tai, add sweetness at the end of every meal. For tourists, it offers a sampling of Penang’s world-famous cuisine and visual tour of its Unesco World Heritage capital city, all in one sitting. For the month of May, there is also a Celebrate Your Birthday in Style promotion, with 20% off the buffet for two diners in any group. There is also a complimentary birthday cake, and tequila shots for everyone after dinner. The offer is valid from Sunday to Thursday only. At the adjoining, open-air Rooftop Bar, there is Fresh Beeron Tap promo where every two pints ordered gets you two more for free, between 4pm and 8pm daily. There are also 2+1 offers for cocktails and beer towers, during selected hours. So gather good company, and toast the night away under the stars, with city lights sparkling in the background. Opening hours for the restaurant are from 7pm to 10.30pm daily. The bar is open from 4pm to 1am on weekdays, and up to 2am on weekends. For more information, look up Three Sixty on Facebook, or call 04-2613540 (after 3pm) for reservations.